As people’s needs and tastes become higher and higher, nail art has become an activity for many women to pursue the trend. But opening a nail shop is not an easy task, and you must consider the following questions thoughtfully. 1. Store site selection: Traffic, roads, passages, etc. are in good condition; they are in harmony with the surrounding construction environment or the retail franchise store environment; the passenger flow is dense and the visibility is high; the customers are convenient to enter and exit. 2. Store decoration: Although the store area is not very demanding, but must have characteristics and their own style. To be warm, comfortable and avant-garde, we must reflect our grasp of fashion and care for our guests from the decoration style, layout, and service. 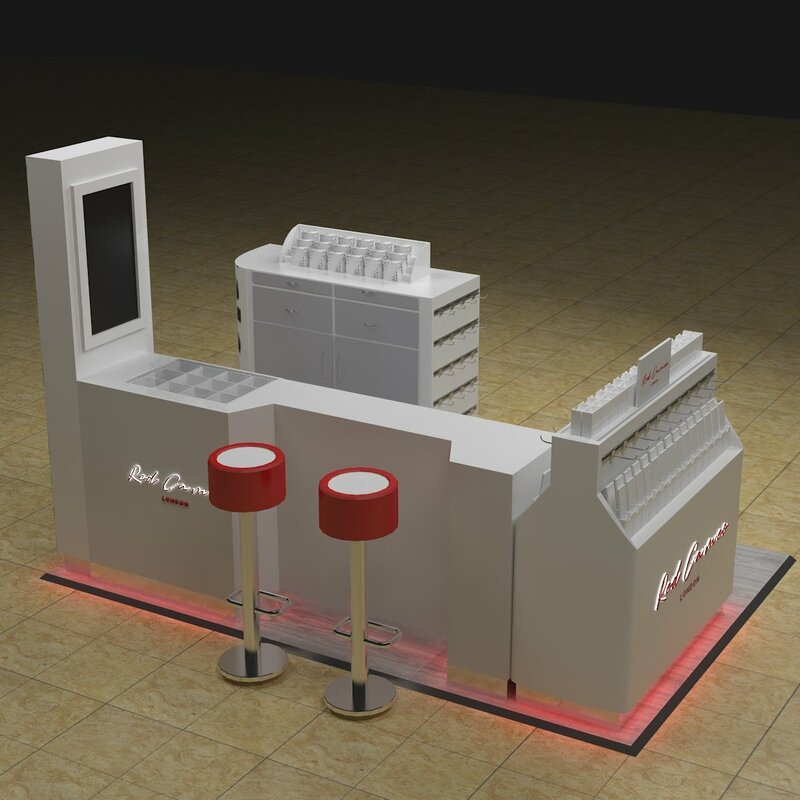 The above pictures the nail bar kiosk design for the UK customer. And there is some information about this nail kiosk as following. Size: 3 x 2 m or customize for your size. Others: the same lock with key, stainless steel handles, 32inches TV, 3 D luminous logo, LED strip lights. The nail bar kiosk in UK shopping mall. The design of this nail kiosk is very simple and elegant. And the materials is the best we used for it. 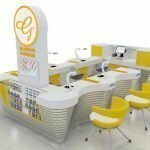 If you want to open a nail kiosk in the shopping mall, then please don’t hesitate to contact us – Unique Furniture Ltd. Our company is the customize factory with more than ten years of experience in this industry. Also, we own a strong and professional design team. Any size, any colors, both ok. Please let me know what size do you want to design. 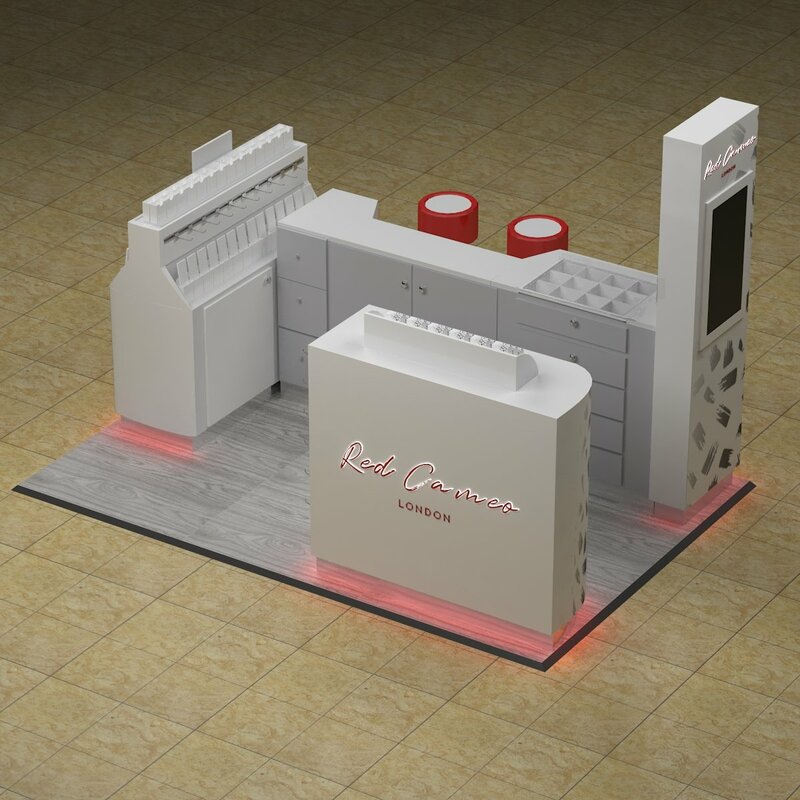 And then our designer will make a new and unique nail bar kiosk only for you. Heartbeat as action. Welcome to inquiry!!! Please feel free to contact us on Email: sales08@uniquekiosk.com.